I finished my law degree on Tuesday which is very exciting news. I absolutely cannot believe it; after five years at university I thought it would never come to an end. I wanted to quit so many times, I hated it so very much that I couldn’t be happier it’s over. I have no idea what I’m going to do with my life now; I have no jobs or further study lined up and I’m not at all interested in the law, but that’s ok because for now just having a law degree is a big enough achievement. I am so surprised that I got through it; I never thought I’d be able to. I’m just an average girl and I feel so out of my league with law degrees so it is very amazing for me. 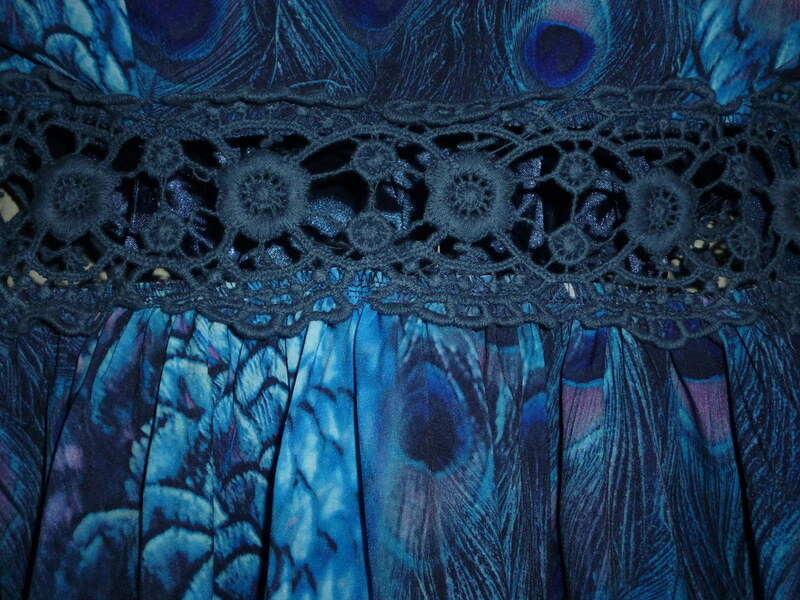 In celebration of completing my degree Rydog bought my this incredibly exciting peacock dress that I’ve had my eye on for awhile now. It’s from Dotti, as are most of my dresses this season; their range of dresses is unprecedented this year. It’s my new favourite; I wish I could own everything in the store. 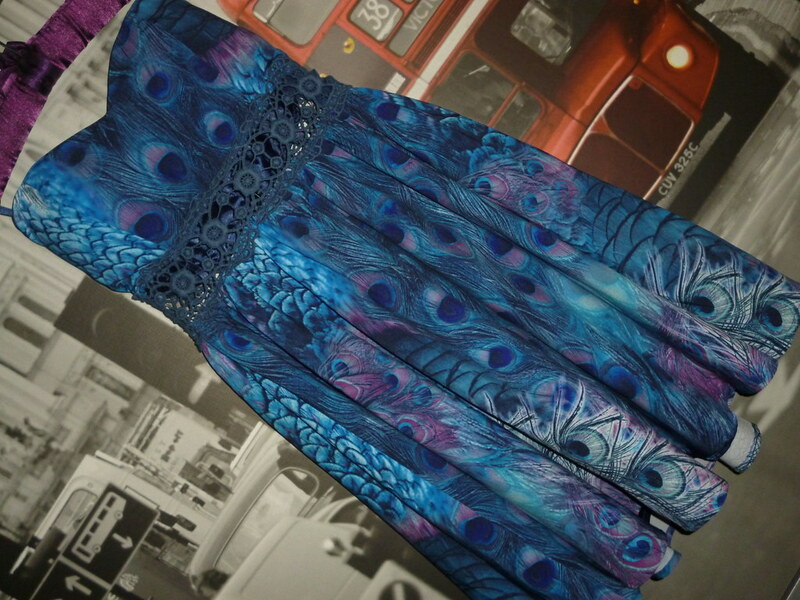 I love the unique peacock print and the colours are really pretty together. I’m looking forward to wearing it for the first time which could well be this weekend. This entry was posted in Dotti, New In. Bookmark the permalink. That dress is stunningly beautiful. 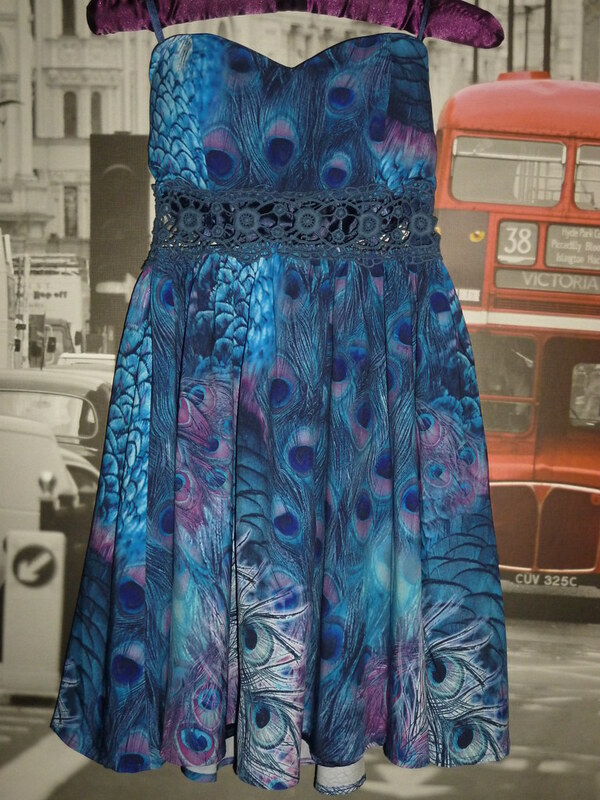 I'm huge fan of peacock print, and I love that this is in blue. Makes it more magical. I can't wait for the outfit post! I also wanted to say a HUGE congratulations on earning your law degree. FINALLY! I know it's been a difficult journey. I remember how frustrated and stressed out you have been throughout the process. It sounded so dreadful. Thank god it's all behind you now! A massive congratulations for finishing you degree. It's amazing news!! I love this dress. The peacock print looks so gorgeous.